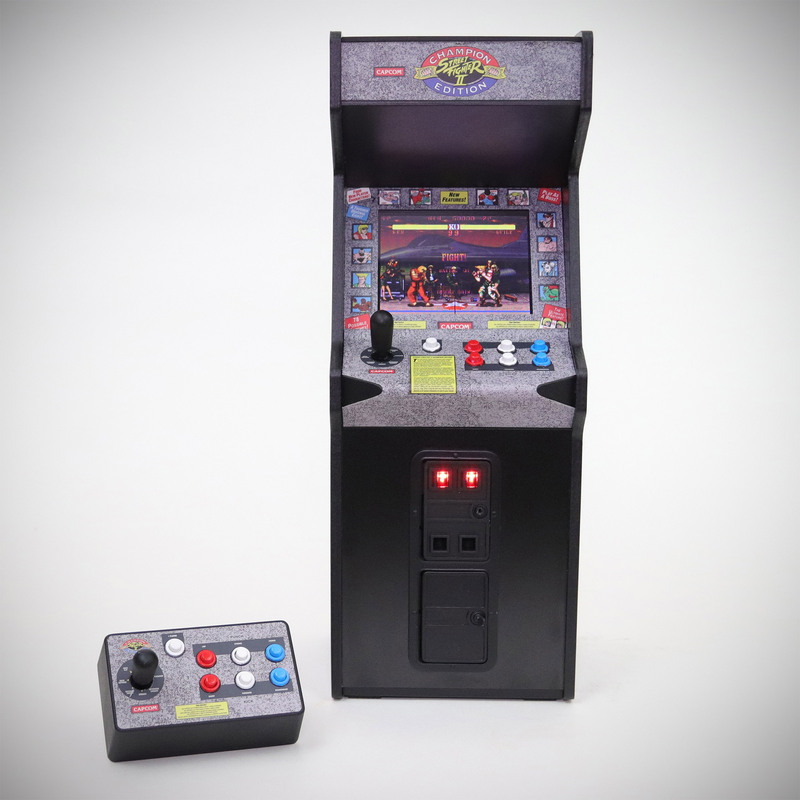 There are arcade machines, and then Street Fighter II x RepliCade, a palm-sized miniature replica of the original arcade game machine, scaled down to just one-sixth of the original size. Standing 12-inches tall, it features a 3.5-inch LCD screen, has fully playable controls, and is officially licensed by Capcom. 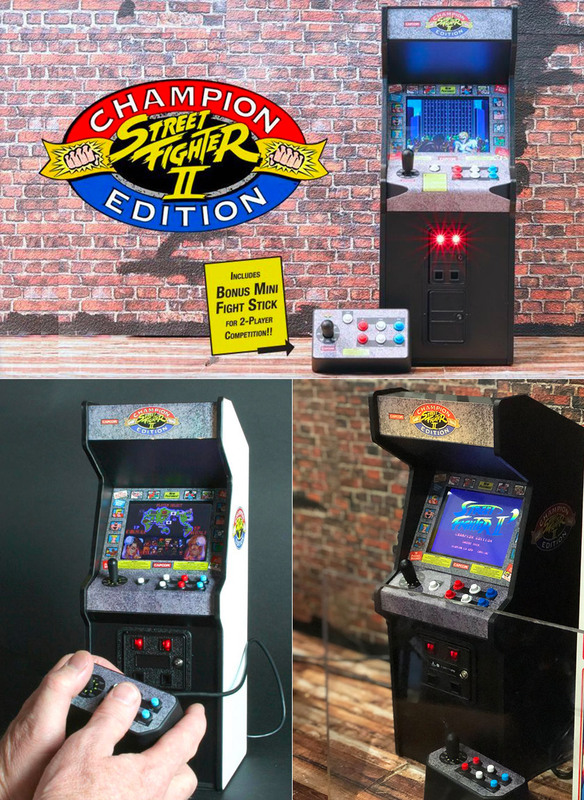 It includes “Street Fighter II: Champion Edition” and “Super Street Fighter II Turbo”, with both allowing for one or two players to play using the USB mini fight stick, or by plugging in a USB game controller. 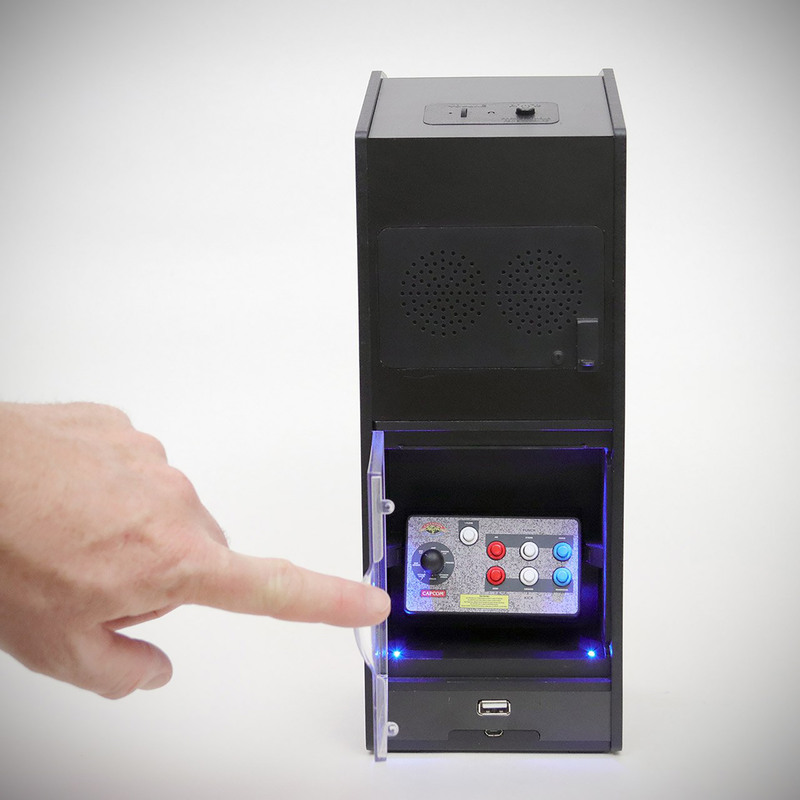 Plus, the cabinet includes a small storage spot in the back for the fight stick. Read more for a hands-on video, additional pictures and information. “While the replica sells for $119.99 when it releases this summer, it is available for pre-order this month for a discounted $99.99. The orders will ship out on “July 1, 2019, or within 90 days of that date,” according to the company’s website. While a tiny screen and fight stick might not be the ideal way to play ‘Street Fighter’ for some, it does seem like the RepliCade would be a unique collector’s item,” reports Variety More information.